In this 120-hour Green Belt Course, you will actively practice techniques for both quantitative and non-quantitative analysis, and gain the project management skills necessary to get projects done. 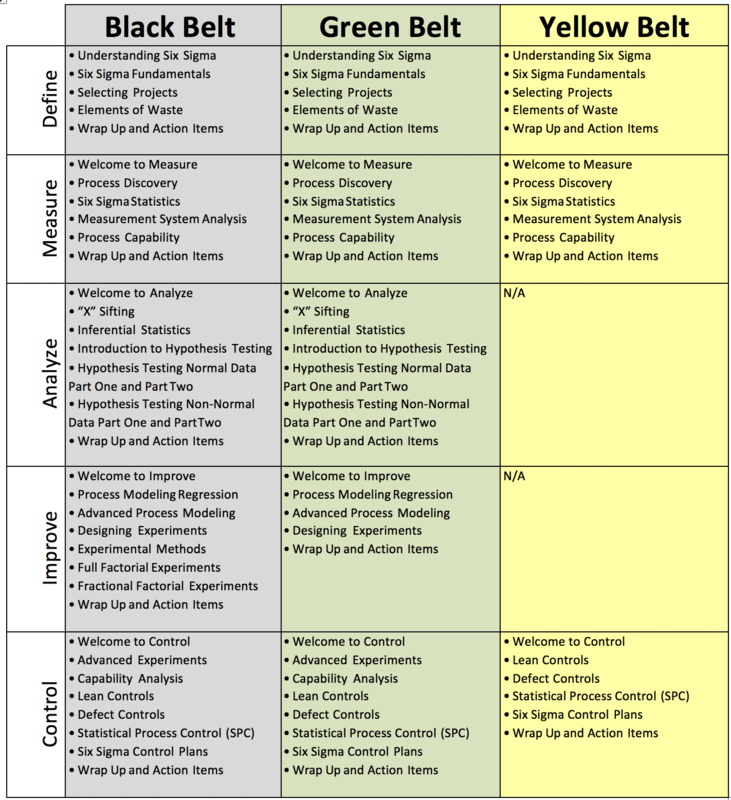 The course consists of 31 modules and follows the Lean Six Sigma DMAIC process, just as you would do for a real project. Green Belt Minitab v12 consists of the modules below. The IASSC Certified Lean Six Sigma Green Belt™ (ICGB™) is a professional who is well versed in the core to advanced elements of Lean Six Sigma Methodology, who leads improvement projects and / or serves as a team member as a part of more complex improvement projects lead by a Certified Black Belt, typically in a part-time role. 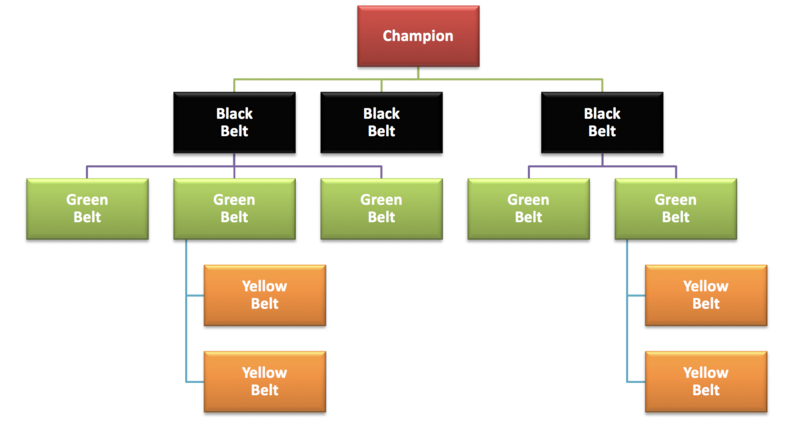 A Lean Six Sigma Green Belt possesses a thorough understanding of all aspects of the Lean Six Sigma Method including competence in subject matters contained within the phases of Define, Measure, Analyze, Improve and Control (DMAIC) as defined by the IASSC Lean Six Sigma Green Belt Body of Knowledge™. IASSC Certification Exams are constructed based upon the topics within the IASSC Lean Six Sigma Body of Knowledge. Through proctored examination, candidates are expected to demonstrate that they have an adequate level of competence in the topics defined within the IASSC Lean Six Sigma Body of Knowledge. proctored exam with a 3 hour allotted time. In order to achieve the professional designation of IASSC Certified Green Belt (IASSC-CGB™) from the International Association for Six Sigma Certification, candidates must sit for the IASSC Certified Lean Six Sigma Green Belt Exam and achieve a minimum score of 385 points out of a total potential of 500 points. 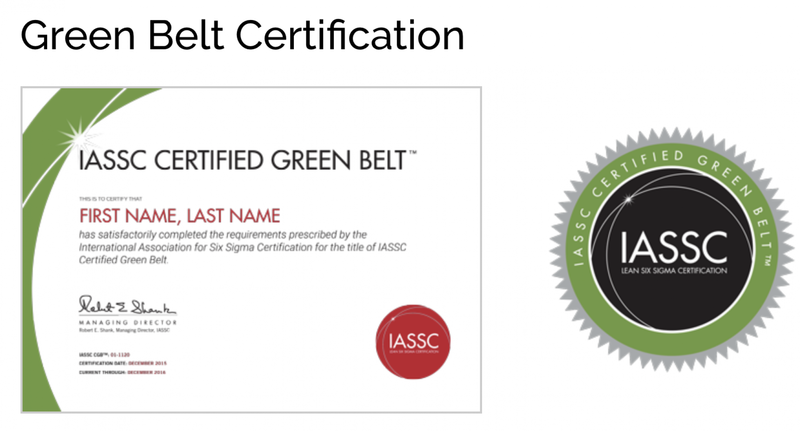 Upon successful achievement, Professionals will receive IASSC Green Belt Certification issued by the International Association for Six Sigma Certification™, the only independent third-party Certification Association within the Lean Six Sigma Industry.